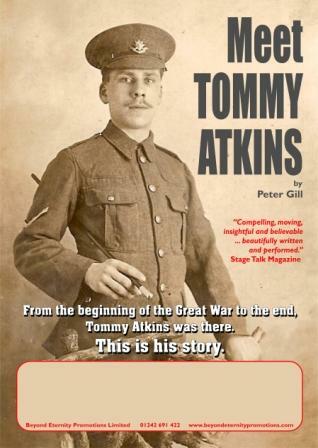 ‘Meet Tommy Atkins’ takes the audience not just through Tommy’s war, but also his life back home in Britain post war. We learn of his experiences in the trenches – fighting on the Somme, at Passhendaele and Loos; and also of the boredom, the loss and indeed the comradeship. Returning to Britain, Tommy shows us how a generation of returning men were maltreated but how ultimately it was his generation that forced through the foundations of the Welfare State. 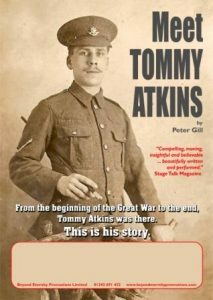 From the beginning of the Great War to the end of the Second, Private Tommy Atkins was there.